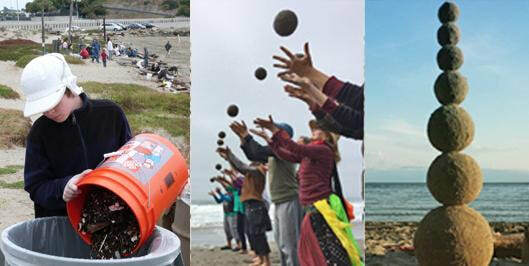 Help with beach cleanup or creek restoration, and join with over a dozen collaborating artists engaging the public in sculpture-making with natural materials, making music, dancing, and more. The largest gathering of children and nature advocates in the world. From inspiring keynotes to hands-on workshops, this biennial conference will inspire and equip you with best practices for increasing equitable access to nature for the children, families and communities you serve. I will be providing a Create-with-Nature Zone for all participants to use throughout the conference, as well as leading a two-hour workshop on creating and using Create-with-Nature Zones. Full info and registration on the conference web page. Join us for the second Albany Landfill Dog Owners Group (ALDOG) beach cleanup of 2019, and a free public sand globe workshop on Albany Beach. Saturday, September 19, 2019, 9am - 3pm (arrive anytime ). 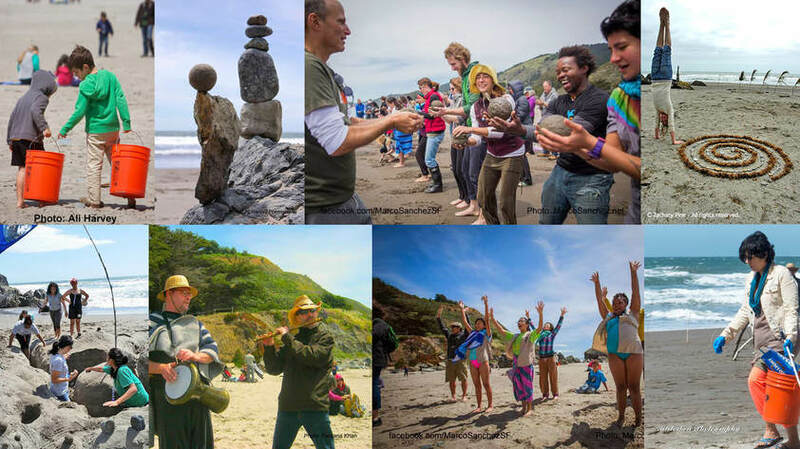 Join in, care for the coast, then connect with each other and the earth through sand globing! In collaboration with rock balancing legend Bill Dan. Free and open to all ages. Instruction provided. 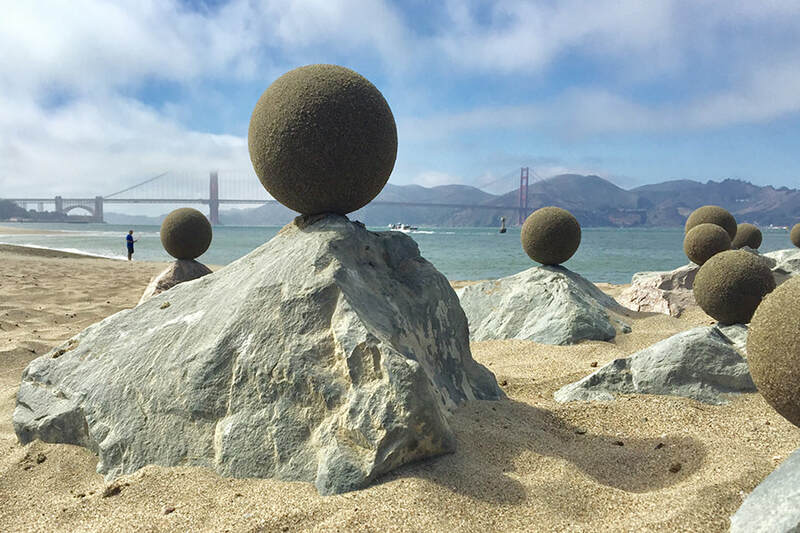 Since discovering a technique for making near-perfect spheres from just sand and water in 2000, I've used sand globe making as an avenue to connect people with each other and with coastal areas. 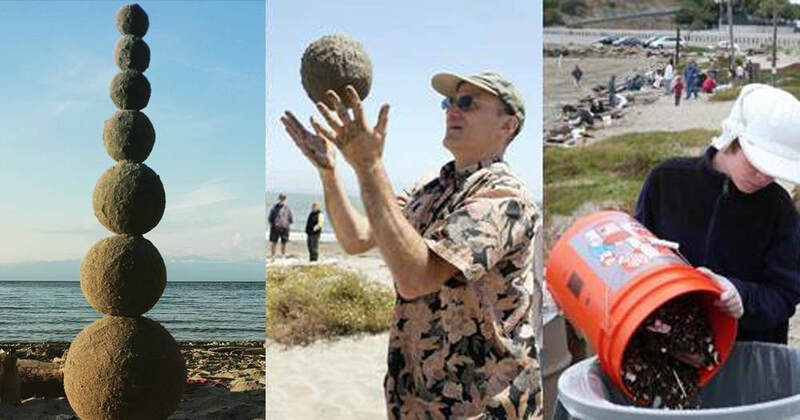 Free public beach-cleanup events combining sand globe making with environmental stewardship have been a great success. I've launched an effort to spread sand globe making worldwide using social media and a "how-to" video that has had thousands of views. Read more. Using materials provided from the 11-acre Blake Garden, visitors are invited to create with nature. Read more. 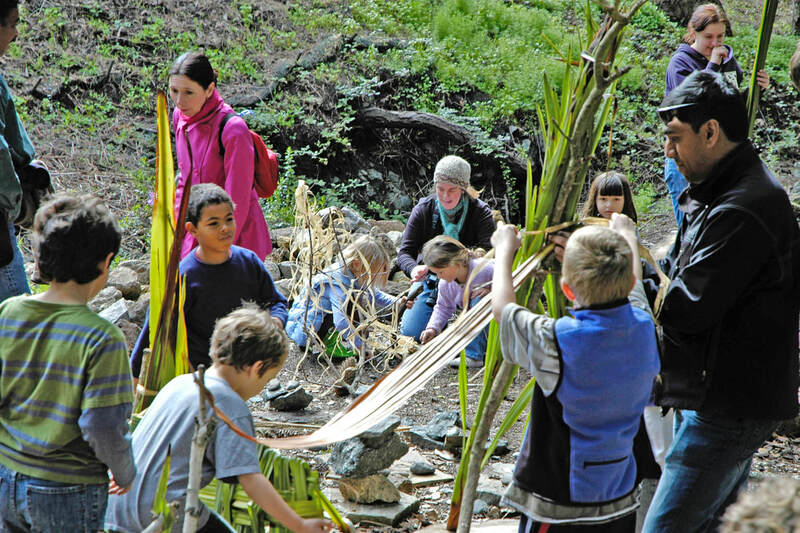 Since 2018 I've been part of the Nature Connection Design team for San Francisco Children & Nature, a cross-sector collaborative of over 20 government agencies, non-profit institutions, and community-based organizations striving to ensure that every child has opportunities to play, learn and grow in nature. One of our projects has been to prototype and develop design criteria for Nature Exploration Areas such as this one at Rolph-Nicol Park. Open to the public every day, 5am-10pm (click "Read more" for additional info including parking fees on some weekend days). 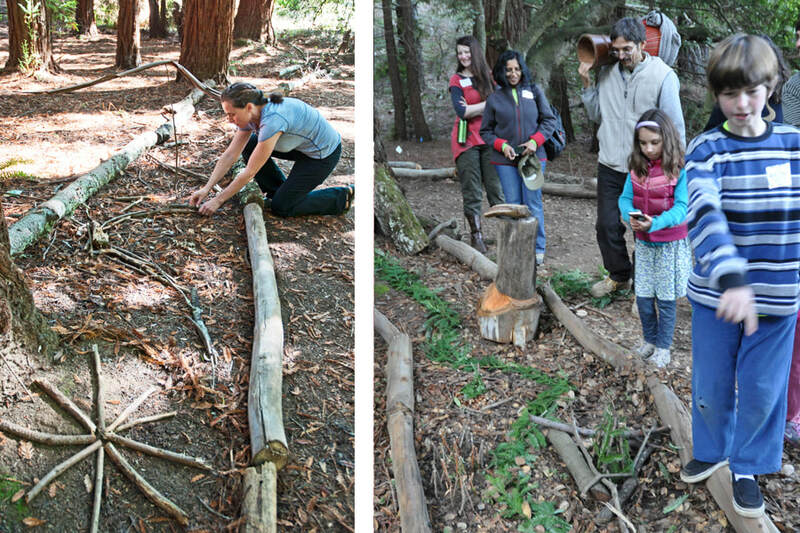 Over 150 yards of pathway through a redwood grove are designated for creating with natural materials from the park. Read more. 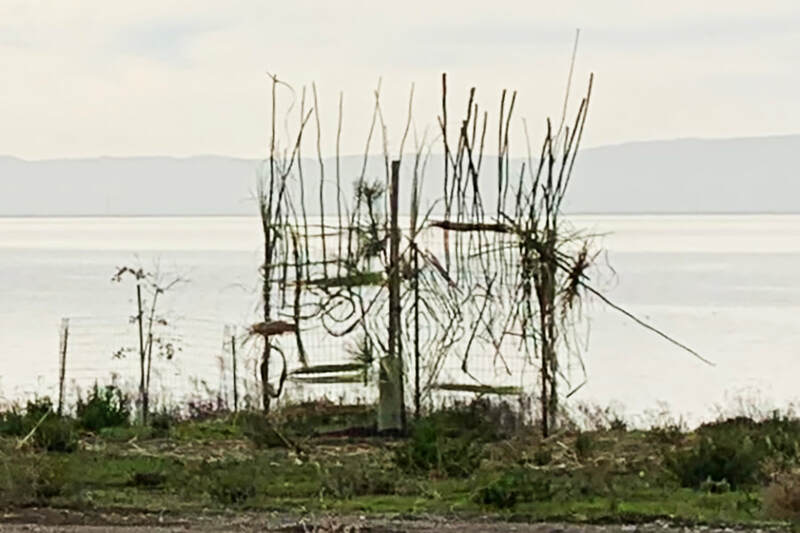 East Bay Regional Park District Ranger Pamela Beitz and I have developed and begun installing protective scaffolding for public, ephemeral art installation and tree shielding on a Disc Golf Course under construction at Oyster Bay Regional Shoreline. Students from Earth Team are instrumental in this project.